The Wall Street Journal is wagging its finger at Google’s travel business. Google disputes the charges, saying in part it is merely trying to keep travellers from being duped. Google is using its dominance of the search market to limit competition in the online travel business – for its benefit and that of some major hotel chains it’s teamed up with, the Wall Street Journal charges in a new editorial. The online search giant, together with the hotel chains, is limiting the ability of online travel agencies (OTAs) to use keywords to advertise hotel rooms, according to the editorial. Meanwhile, Google’s own travel service, which features listings from OTAs, takes a big cut out of the commissions they earn, the Journal reported. “Travellers may unknowingly pay more and fail to see all of their options because some major hotels have ganged up with Google to undercut competition,” the Journal said in its editorial. Under pressure from the likes of Airbnb, hotel chains have become increasingly concerned about the discounted rates OTAs negotiate for hotel rooms and the commissions – 20% or so, typically – the hotels pay OTAs when consumers book rooms through them. They have been trying to steer consumers away from OTA services and to their own websites. 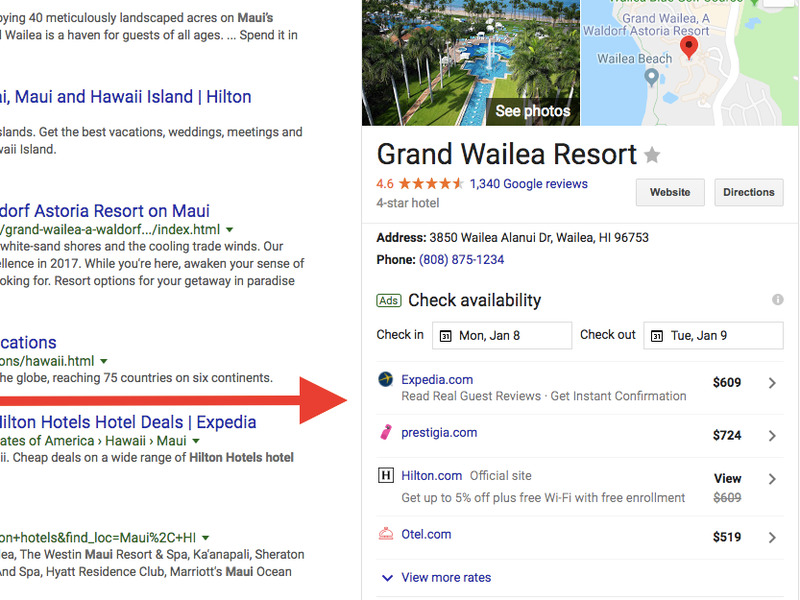 Toward that end, some hotel chains, in deals they have with online travel agencies (OTAs) such as Expedia, have forbidden those companies from bidding on keyword ads on Google and other ad networks that would include the hotels’ brand names, according to the editorial. 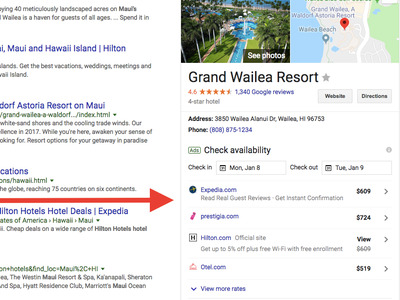 Although those deals don’t cover smaller OTAs, Google has made it more difficult for them to use hotel brand names in their ads too, after hearing from the hotel chains, according to the Journal editorial. 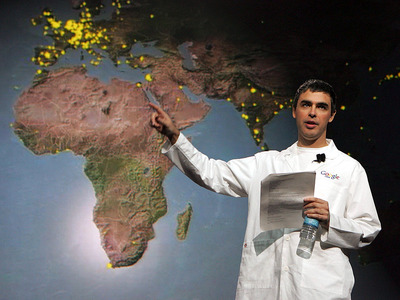 Google doesn’t restrict keyword bids in any way, the company representative told Business Insider. However, the company does guard against ads that try to dupe travellers into believing they’re booking travel on a hotel’s actual website when they are really being sent to an OTA, the representative said. “Since protecting users is a top priority for Google, we have detailed policies against deceptive or misleading use of trademarks in ad text and take swift action when we see this type of abuse on our platform,” the representative said. “We do not require proprietary information to run hotel ads,” the company represenative said. This wouldn’t be the first time. Back in 2011, when Google entered the travel booking market by buying flight search company ITA Software for $US700 million, it faced antitrust scrutiny from the Department of Justice. The Justice Department imposed conditions on the acquisition, forcing Google to maintain separation between its search and travel flights businesses and to submit to government monitoring of complaints for five years. Those conditions ended in 2016.